At only 318 calories, you can be confident that this mac and cheese dish will give your family a healthy, satisfying meal they'll love. We would love to know how you enjoyed our healthy twist on a classic dish, so be sure to rate the it and leave us a review with your comments and thoughts! 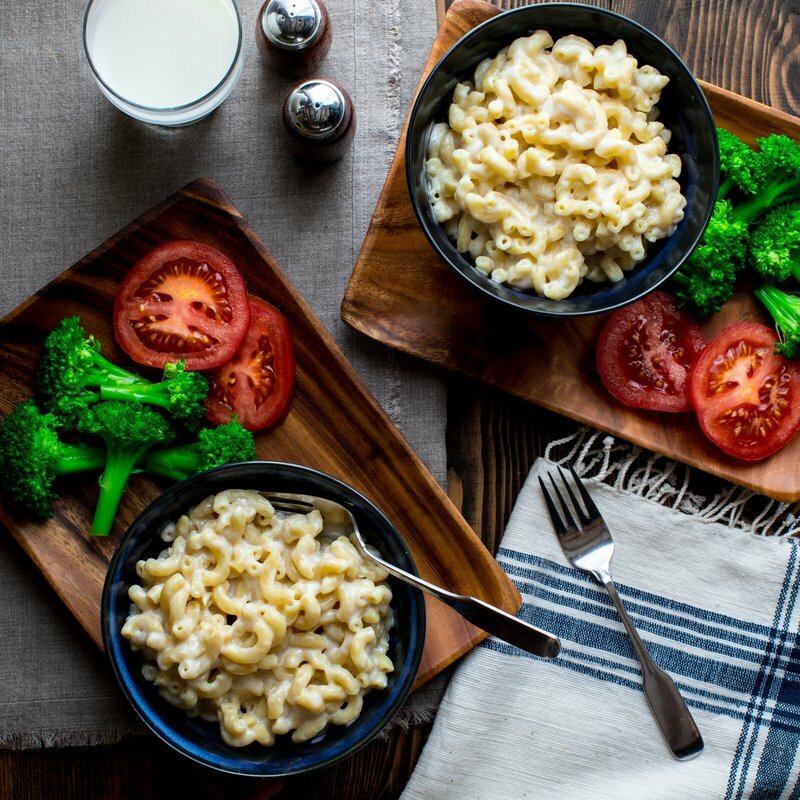 Nothing feeds a young family like classic comfort food, and mac and cheese has been a favorite for generations. Yet when cooking a meal for your growing family, you want to ensure that your children are receiving the very best nutrition to help them grow strong and healthy. That is where our healthy mac and cheese recipe comes in. This dish combines all the classic flavors of rich mac and cheese without the extra calories. 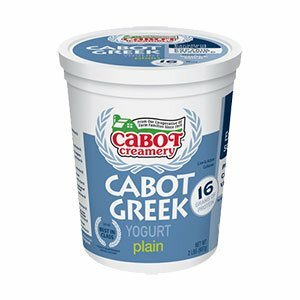 Our Cabot Plain Greek Yogurt provides a hearty base for the dish while being high in protein and low in fat. By using reduced fat milk and ½ cup of Cabot Plain Greek Yogurt, you can cut the calories and feature the flavors. The Greek Yogurt combines with the 6 oz. 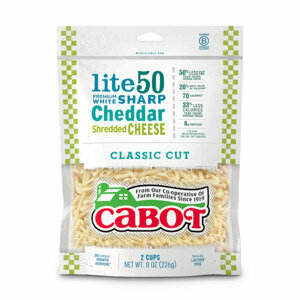 grated Cabot Sharp Lite50 Cheddar for a taste that is deliciously cheesy and creamy. The 4 cloves of garlic and one teaspoon of Dijon mustard will provide subtle, yet delicious, spice flavors to make this mac and cheese stand out from the pack. Our healthy mac and cheese makes a great lunch or dinner dish and pairs perfectly with sliced apples or fresh veggies. 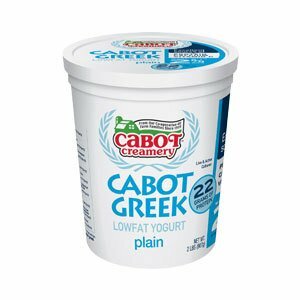 Cabot is a cooperative of 800 dairy farm families throughout New England. All of our farmers are dedicated to producing the absolute highest quality products to share with our customers. From our Cabot family to yours, we want to help make your meals special. We hope that you will leave us a review and share your thoughts on our healthy mac and cheese recipe. Your tips and ideas can help other families enjoy all the flavors that this great dish has to offer. BOIL about 4 quarts water in large pot; add elbows and garlic and cook for 8 minutes. Drain pasta well in colander and return to pot. REMOVE garlic cloves, slip from skins and mash into paste; scrape into bowl. Add cheese, yogurt, milk, mustard, salt and pepper; whisk together well. Stir into elbows. If mixture has cooled, return pot to low heat and stir elbows just until warmed through (do not overheat or mixture will be less creamy). Serve immediately. Get more mac and cheese makeovers today! Good flavor. I made according to recipe only used 2 boxes of 8 oz Ancient Harvest Quinoa Rotelle pasta which is loaded with protein and fiber. I would probably use penne or elbows next time because the sauce gets stuck in the rotelle and makes for filling portions. I added about 1/4-1/2 cup more of yogurt, cheese and milk, and had to add even more milk for a creamier texture. I would probably make again and put in the oven for 30 minutes to see what happens. I prefer a creamier mac and cheese. 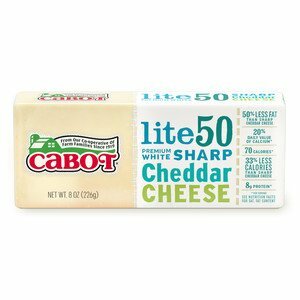 This recipe is not only delicious but light on the calories as it uses the Light Sharp Cheddar....I love this cheese, and I love cooking with it too! Delicious! !